Located on the 17th floor of the iconic Essex House, this recently renovated pad is quite the “oasis” in the sky (you knew the wordplay was coming somehow). 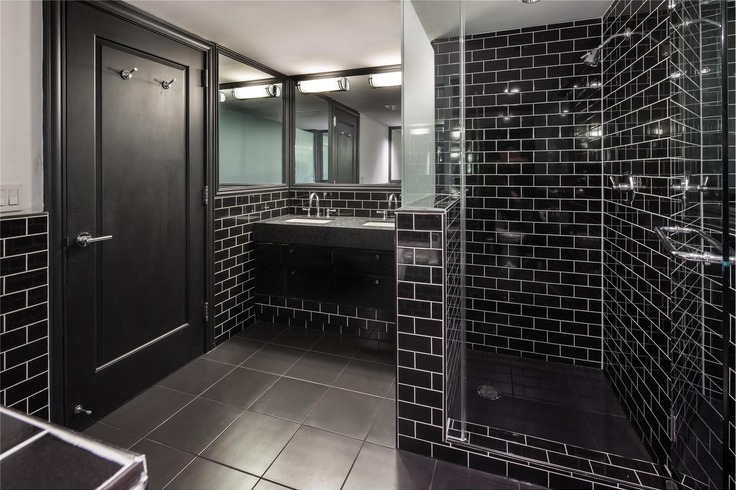 The 1,575-square-foot, 2BR/2.5BA apartment is certainly one of a kind. The living and dining areas are practically homage to an African safari with animal print accents against chocolate brown walls and wide-plank herringbone floors. 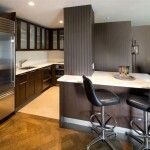 A kitchen with stainless appliances and granite counters opens up to the entertaining space, a feature we imagine is ideal for a duo who undoubtedly likes to party. Just in case you forgot that one of these guys loves animal print, the bedroom will remind you all over again. 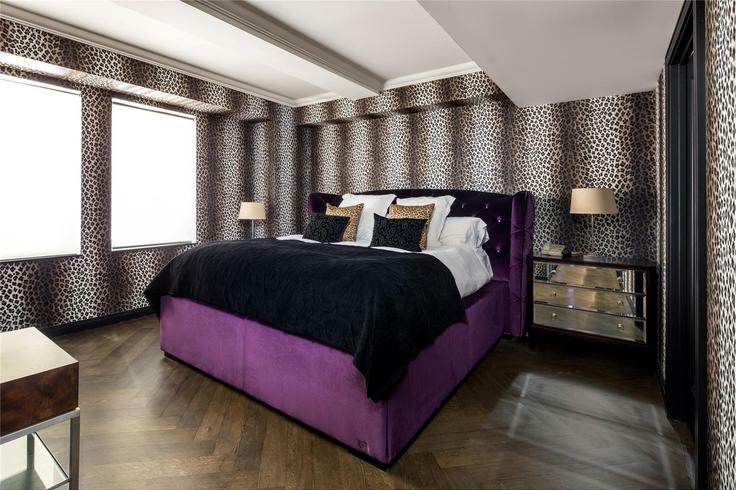 Yes, there are leopard print walls with a bed that looks like it was designed for Prince himself. The entire National Geographic channel just dropped their jaws in disbelief. 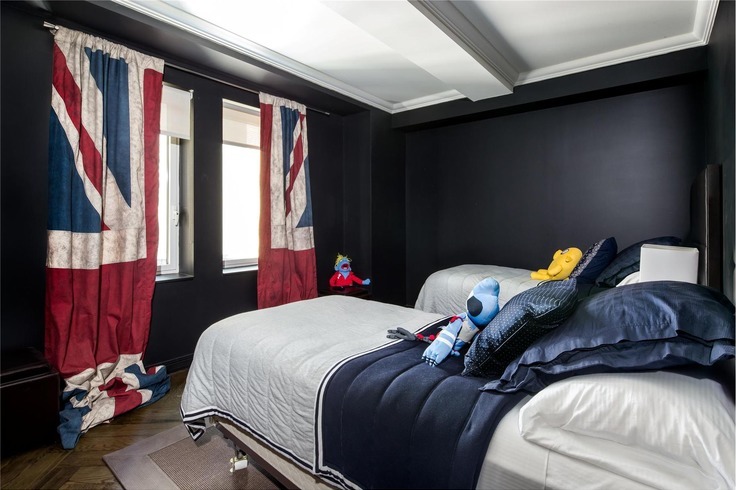 As for the other brother, we’re guessing an intense patriotism for his native country is where his heart lies as British flag curtains accent his room. 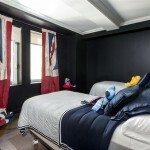 We’re guessing this brother (probably Noel) lost the coin toss when it came to decorating the rest of the apartment. 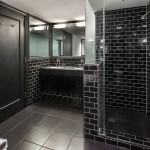 Both bedrooms come with spa-like en suites and plenty of closet space. 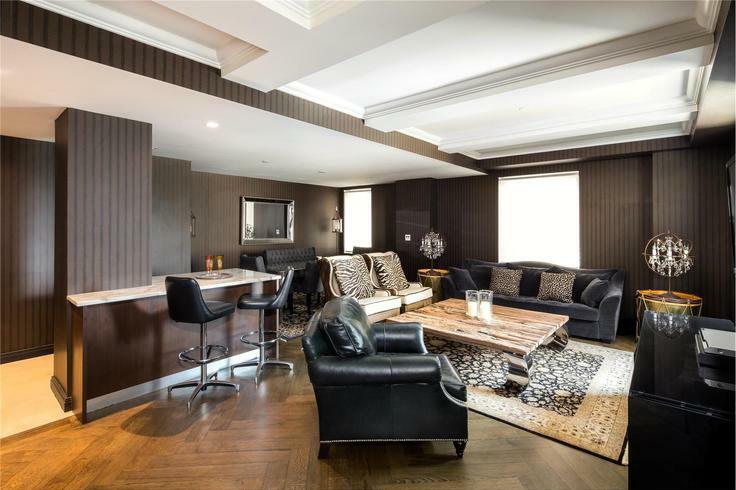 Additional features the apartment boasts are coffered ceilings, new windows, central air conditioning—a luxury anyone who’s ever spent a summer day in New York can appreciate—and all the benefits of living in a hotel. That’s right, residents of the Essex House get room service, maid service, valet parking: the works. There’s also a gym, a spa, and a safe deposit box so you can store your valuables like they do in the movies. 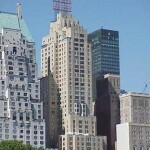 The Essex house was built in 1931 and was once New York City’s tallest building. The tower was designed by renowned architect Costas Kondylis who designed the Trump World Tower and the Barclay Tower among many others.